Discover the most enigmatic and dramatic of all the Bible's books in a clear and concise way with these studies for groups and individuals. In every age people have felt sure that the book of Revelation described events in their time. As nations arm themselves for war, we think of Armageddon. As evil rulers grow in power, we look for the antichrist. As the powers of darkness threaten to overwhelm us, we cry, 'Come, Lord Jesus!' 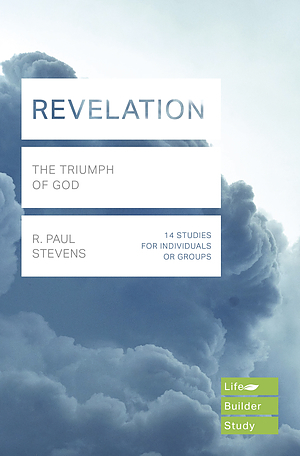 Amid the uncertainties of our age, Revelation assures us of the ultimate triumph of God. Lifebuilder: Revelation by R.Paul Stevens was published by IVP UK in September 2018 and is our 1660th best seller. The ISBN for Lifebuilder: Revelation is 9781783597956. Be the first to review Lifebuilder: Revelation! Got a question? No problem! Just click here to ask us about Lifebuilder: Revelation.